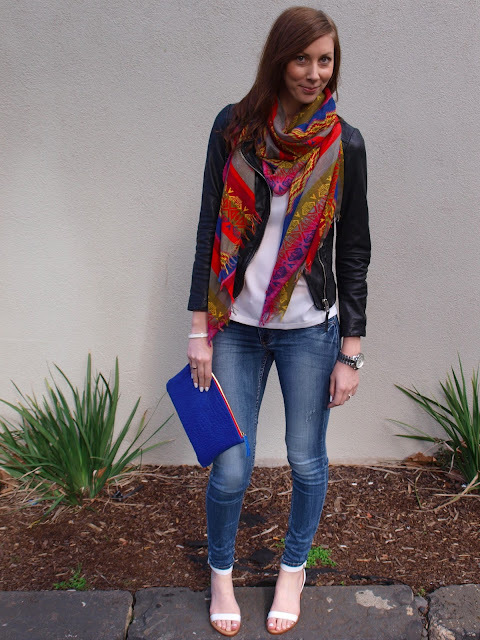 The perfect addition to a night out look in winter…a scarf of course! 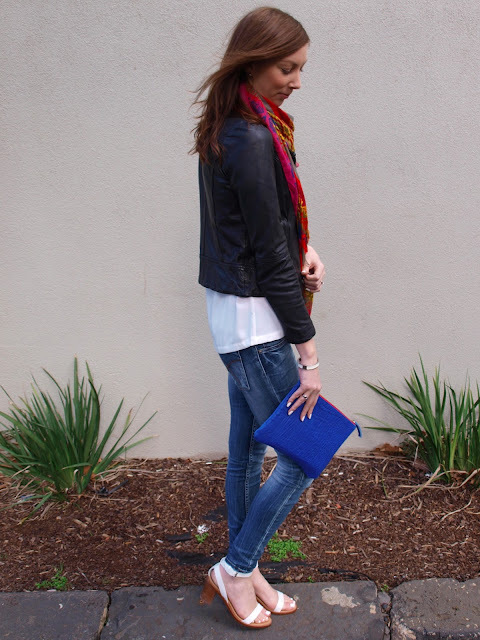 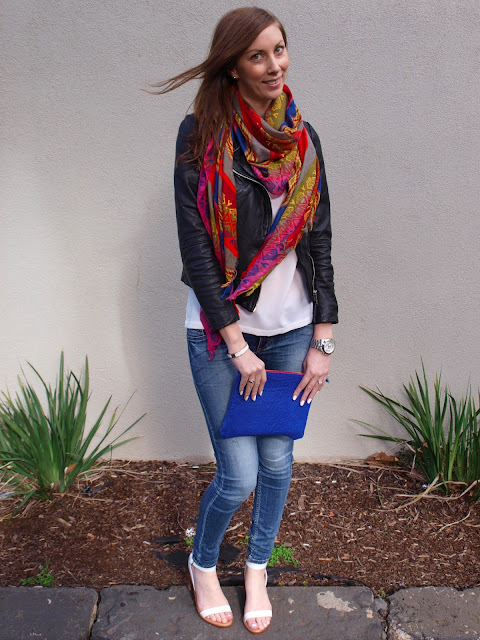 Added a pop of colour with this amazing scarf and blue clutch, and finished an otherwise casual outfit off with a heel. 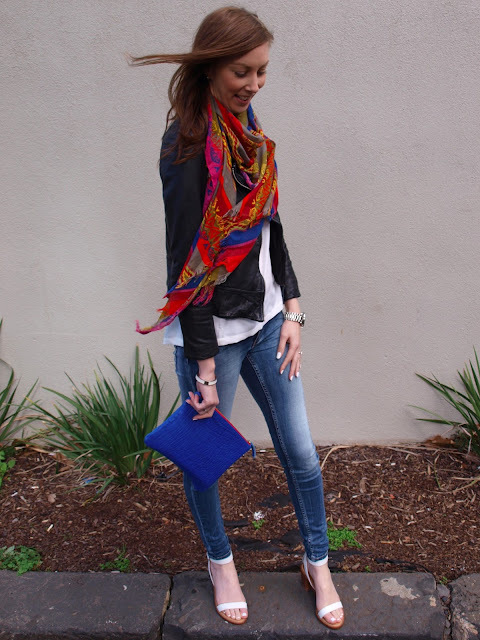 Rocking my fave jacket again, it really does go with any outfit…obsessed!